Upon your arrival in Antananarivo, you will be met and transferred to our hotel. Due to the late arrival time of most flights, our welcome briefing will take place after breakfast on day 2. After breakfast and our welcome briefing, we enjoy the scenic drive to Ambohimanga (UNESCO Cultural Site), where the former Merina monarchs had their summer palaces until the last century. It's a beautiful and peaceful place with lovely views over the highlands, and a perfect way of gaining some insight into the fascinating and turbulent history of the Malagasy people. We return to Tana in time for lunch. This afternoon, we visit the Akany Avoko orphanage. The Akany Avoko is an eco-friendly refuge offering shelter, care and the opportunity to develop skills to enable their children to grow into self-sufficient adults. After breakfast we enjoy our drive to Antsirabe, through the highlands of Madagascar. 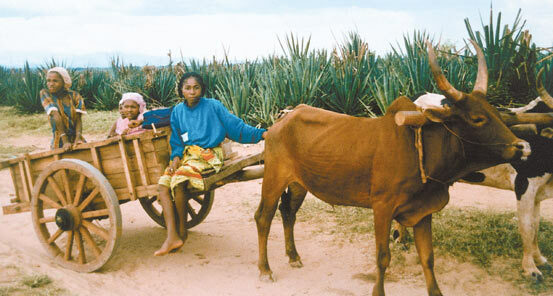 On the way, we see the typical highland landscapes of rice fields and Malagasy (pronounced Malagash) architecture. We reach Antsirabe in time for a late lunch. This afternoon we explore the beautiful town situated at an altitude of 4,900 ft (1,493 m) by pousse-pousse (rickshaw).The rest of the afternoon is yours to relax. Today is a long travel day. After an early breakfast, we begin our journey to Ranomafana Rainforest with a drive south to Ambositra (which means "Place of Eunuchs"). Here we see fine local woodcarvers. We continue onward to Imahasoavahiny, where we enjoy a local lunch overlooking the picturesque Ambohimahasoa village. This afternoon we continue our drive south over bumpy roads to the town of Ranomafana, one of the most pleasant places in Madagascar. Historically, it served as a thermal bath center, but now the prime attraction is the newly established national park. This beautiful national park lies at an altitude of 2,600-3,900 ft (793-1,189 m) and is comprised mainly of rainforested hills, carved by numerous small streams feeding the whitewater of the Namorona River. 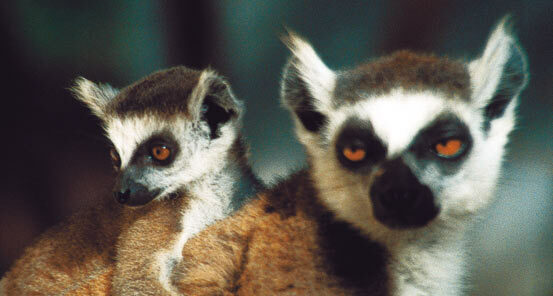 The park itself is home to 29 species of mammals, including 12 species of lemurs. On an average day in the park we see red-bellied lemurs, red-fronted lemurs, and Milne-Edwards sifakas (commonly called chocolate sifakas). We may even glimpse a golden bamboo lemur, which is unique to this park and only recently discovered. The diversity of flora is incredible, with orchids, tree ferns, palms, mosses, a variety of flowering plants and stands of giant bamboo - 278 species of trees and bushes as well as numerous other species of smaller plants. The Parc National de Ranomafana is part of the UNESCO Natural Heritage Site covering the rainforests of the Atsinanana. A short drive to the south takes us to Fianarantsoa (locally abbreviated to Fianar). 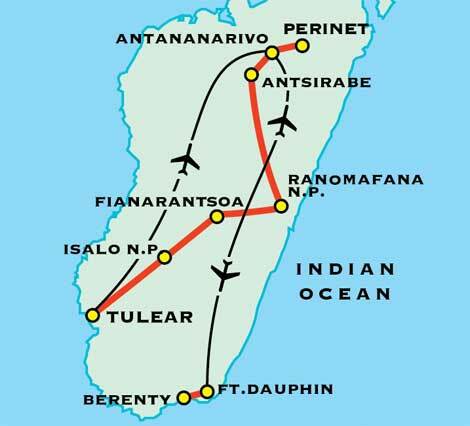 Fianar has long been known as the academic and intellectual center of Madagascar. It is a charming town, dominated by the backdrop of 4,500 foot (1,372 m) Mount Kianjasoa. This afternoon, we enjoy a city tour followed by some free time to relax before dinner. Today is a long travel day. We set out early for the journey to Isalo National Park. Along the way we enjoy a visit and hike in Anja Park. Anja Park not only offers incredible scenery, but is also known for being a great location to view ring-tailed lemurs. After a picnic lunch we continue our drive leaving the lush highlands and drive down to a desert-like environment in the south west. In the heart of this semi-desert lies the magnificent Isalo Massif with its stark beauty. This stunning park is home for the next 2 nights. Overnight in Isalo National Park. Today we enjoy our time hiking and exploring Isalo National Park. The park encompasses the wildly eroded Jurassic sandstone massif and is characterized by alternating flat grassy plains and sandstone ridges dotted with palm trees and pachypodiums, commonly known as "elephant's foot". The landscape has been sculpted by wind and water into fanciful hoodoos that appear to have eyes, ears, noses and beaks. Typical of the Malagasy culture, this haunting place is filled with a variety of local fady (superstitions and taboos) that must be observed as one moves through the park. We enjoy numerous guided walks and hikes in the park in search of wildlife and also enjoy a picnic lunch at a beautiful natural swimming pool. After breakfast we make our way to Tulear on the west coast. We stop enroute at Zombitse National Park which offers amazing views of baobab trees, orchids and home to the Verreaux Sifaka and Zombitse sportive lemurs, endemic birds such as Appert's tetraka and standing geckos. We arrive at the Arboretum Antsokay, just outside of Tulear in time for a late lunch before enjoying the bizarre and exotic spiny forests thriving in the southern arid region. Time permitting we will visit the small ethnographic museum to learn about the unique and interesting cultures and tribes found in southern Madagascar. This morning we leave early for our flight to the beautiful town of Fort Dauphin set amidst windswept green hills, blue seas and fine beaches. Upon our arrival we visit the Fort Flacourt Museum dating from the seventeenth century, with beautiful views of the Indian Ocean and Libanona beach. After lunch, we visit the Nahampoana Reserve. 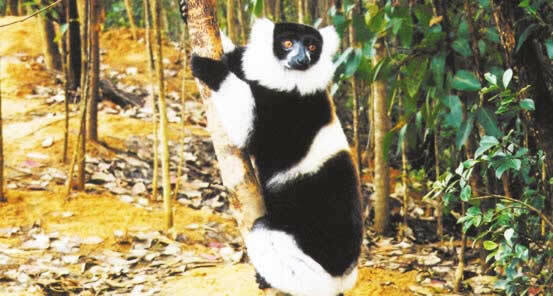 Here you will have an opportunity to see many lemur families which live in the park up close. The white and black zebra-tailed lemurs are a mascot for the reserve. 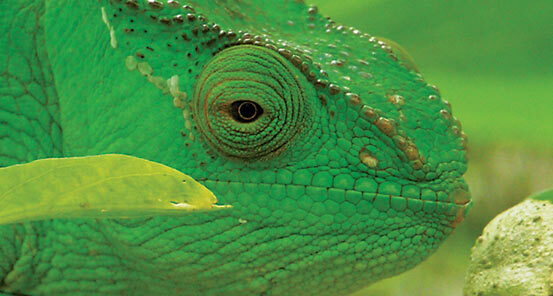 You may also see chameleons, tortoises, crocodiles and a wide variety of bird species. After an early breakfast, we then make the long bumpy drive to Berenty Reserve. 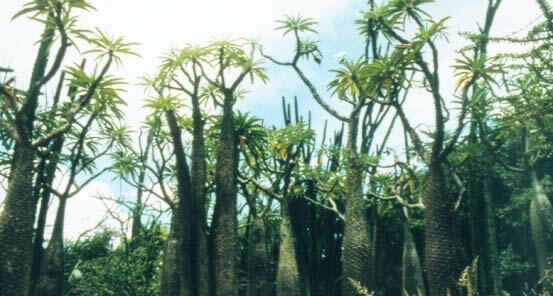 Enroute, we stop to see various interesting plants, including the indigenous didieraceas (a family of unusual spiny-stemmed succulents found almost exclusively in Madagascar), the skyscraper baobabs, triangular palms, the carnivorous pitcher-plants as well as the sacred banyan trees. The Berenty Reserve is the country's best known reserve - its director was awarded the World Wildlife Fund's Getty Prize for nature conservation. The reserve contains nearly a third of the remaining tamarind gallery forest in Madagascar and is the best place to see ringtail lemurs and Verreaux's sifakas (large white lemurs which are among nature's most accomplished acrobats, hurling themselves across vast distances between tamarind trees). In addition to other varieties of lemurs, there are striped civets and flying foxes (large fruit bats). The reserve is one of the best birdwatching sites in the country with 83 different species, including nine birds of prey, and also 26 different species of reptiles. During the next two nights we have the exciting opportunity to go on a night walk in search of the nocturnal grey mouse and white-footed lemurs. Overnight for the next two nights at Berenty Lodge. After breakfast, we make the drive back to Fort Dauphin where the remainder of the afternoon is at your leisure. Transfer to the Fort Dauphin airport for our flight to Antananarivo. After lunch we visit the Queen's Palace overlooking the beautiful city of Antananarivo. We arrive at our hotel in time to freshen up for dinner. Today we enjoy the drive to Analamazaotra Special Reserve through the Madagascar highlands. The reserve was named after the river which traverses it. Late this afternoon, we will have the first of several nature walks in the region. Today we go deeper into the reserve, looking for the famous three foot tall indri, the largest of the lemur species which can live for up to 30 years and can jump upwards of 30 feet! Early in the morning, it is possible to hear their haunting song which can be heard for several miles. We will be on the watch for grey bamboo lemurs, common brown lemurs, diademed sifakas and chameleons, of which eight species are found here. There are 24 species of amphibians including some endemic to this reserve. Bird life is also abundant. After a late lunch we enjoy some free time before a visit to lemur island. After a leisurely morning, we drive back to Antananarivo. This afternoon, enjoy some free time for last minute shopping before our Farewell Dinner. Today you are transferred to the airport in time for your departure flight.